THIRUVANANTHAPURAM: With monsoon fury continuing in the state, Chief Minister Pinarayi Vijayan reviewed the situation so far and the relief measures. 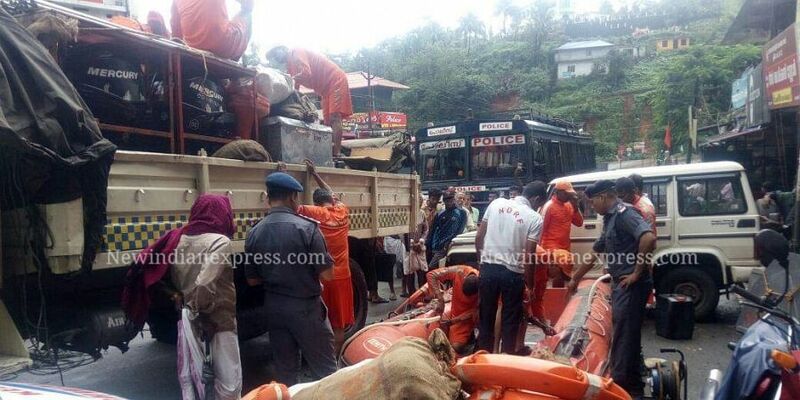 Rescue activities are being undertaken by the Army, Air Force, Navy and Coast Guard along with the NDRF (National Disaster Respond Force). More water will be released from Cheruthoni dam depending on the water flow from the catchment area. in view of the heavy rain in the catchment area, it's estimated that about three times more water would be released. Precautionary warnings have been issued to those staying near river Periyar and its tributaries. CM has instructed to make loudspeaker announcements in these regions. Also necessary steps should be taken to shift people to other places and relief camps. Chief Secretary Tom Jose and Additional Chief Secretary PH Kurian attended the review meeting. In view of the monsoon calamities across the state, the chief minister cancelled all his official programmes till August 12 and will continue in the state capital to coordinate the rescue activities and relief measures.